In the world of electronic cigarettes, there is a plethora of choices that all seem to be imitating each other. Introducing JUUL, small, sleek, and made from high-quality materials, the device created by PAX Labs offers the ultimate vaporization experience. 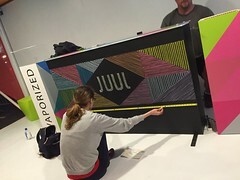 With its recent debut, JUUL wanted to get the word out about their revolutionary product, so they took to the streets. 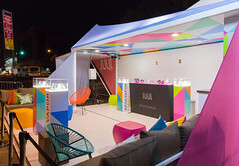 JUUL needed an environment that embodied the clean, fresh, and quality product they had designed. 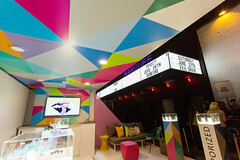 Teaming up with BeCore we used their creative design to build The JUUL Vapor Lounge, a modern, inviting, and unique sampling experience for consumers inside a modified shipping container. Starting with the design for our 20’ half-suite, we purpose-built our lightest weight structure to date. 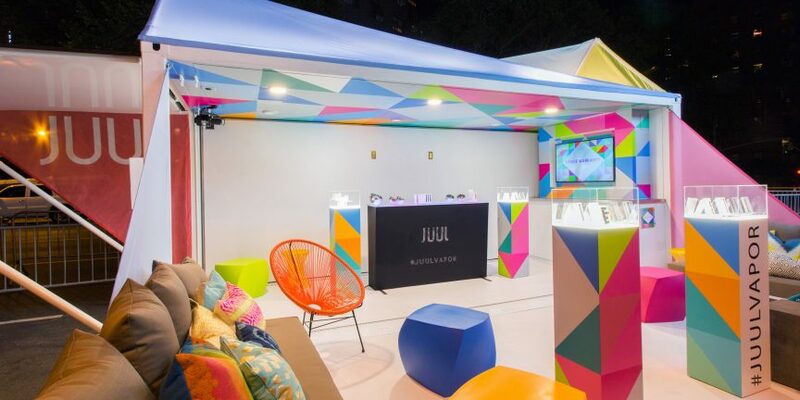 The container environment was finished in all-white and branded with JUUL’s signature multi-colored geometric patterns creating a bright, open-air environment that lit up the city street. 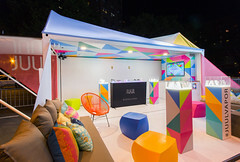 Using bright furniture that mimicked the colorful branding, and LED backlit fabric wind sails on top and around the environment, the 20’ x 8’ steel box quickly transformed into a dynamic and engaging environment. 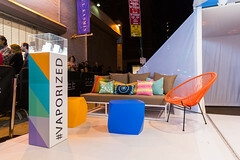 As people entered the space they were greeted by JUUL team members where they got the chance to experience vapor with JUUL products. 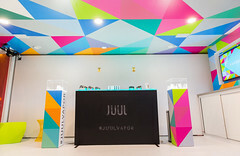 With four distinct flavors to try out, guests could relax in the lounge area, check out JUUL products in the illuminated display, or snap pictures in the Bosco Animated Gif Booth. We want to thank BeCore and JUUL for the opportunity to be part of such a high-quality experience and can’t wait for our next project together. 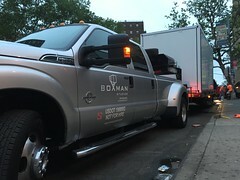 JUUL will be on tour all month long throughout New York City, check out the full schedule below. 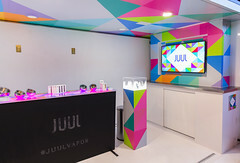 If you’re nearby, be sure to share your JUUL experience on twitter and Instagram with the hashtag #JUUL. For more information click here or see the schedule below.